Ok, so after so many donkey years, I've just cash out my very first ever payment from ChurpChurp in Nov 2014, and received my cheque yesterday. It's not much, but at least it is something, and I will stop using ChurpChurp from now on. I'll explain my reasons below. 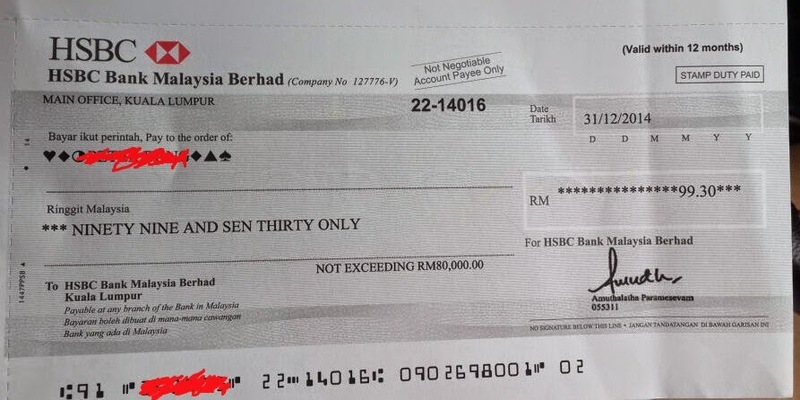 Cash out my payment in November 2014. 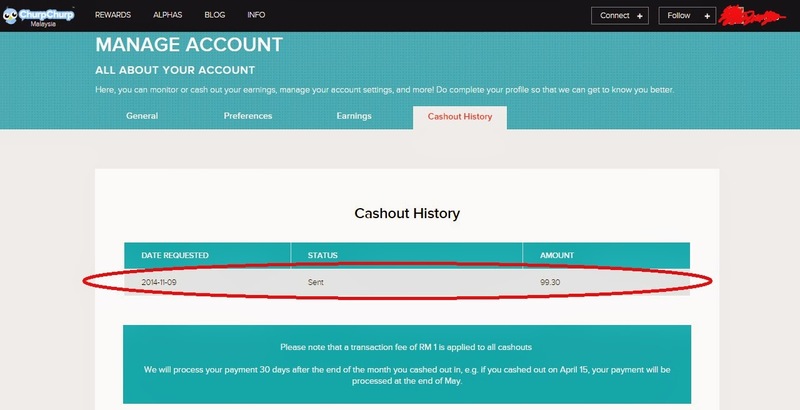 The threshold to cash out is RM100. So, I started joining ChurpChurp back in 2010 since the very beginning of ChurpChurp establishment. At that time, for whatever campaign or products we shared, we get a RM0.20/unique click, which is the same as now, only that nowadays ChurpChurp has other types of campaign for user to earn extra money, such as writing short story etc. If you are with ChurpChurp, I guess you will remember that there was one time ChurpChurp claim the site was hacked, and many users lost part of their earnings. So, I was one of the unlucky one, who got lost around RM10-20. The amount is not much, but HOWEVER, ChurpChurp did not reinstate back my lost money. From their response, they expect me to give them details of my last few earnings, which was highly impossible, and because of that few bucks, I can only cash out the amount end of last year. Secondly, I've mentioned before, the unique clicks that you generated for each link you posted, you are supposed to get RM0.20/unique click. In my previous post, you can read at Is ChurpChurp a Scam, I get imbalances from the click and the income. It had happened too many times, and I am too lazy to keep track of it, as the clicks is not really a real time clicks. I am not saying ChurpChurp manipulate their customers clicks and earnings, but somehow, I find it not quite convincing to see my clicks and my earnings not tally. Last but not least, it is regarding the payout threshold. It is RM100 minimun, which is relatively high as compared to it's sister site, Nuffnang, which is RM50 only. Anyway, there are many people whom I know who can do really well with ChurpChurp. They can really hit the target every one to two months. All the best to all the Churpers.